This week it has been confirmed Albert Vinas will host the NDSL Coaches Club opening workshop for the 2014/15 season. In association with DB Sports Tours and the NDSL, Vinas will teach The Catalan Football Philosophy. Not only that, but the famous Spanish side who won two European Championships and World Cup between 2008-12 played the famous possession football of the Catalan way. Throughout the workshop Albert Vinas will reveal the methods behind arguably the most successful style of football ever witnessed. 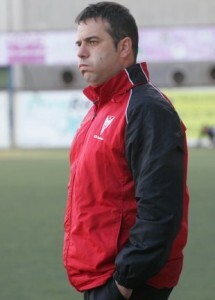 Albert Vinas has helped develop some of Europe’s rising stars, through the coaching of the Catalan way. He has helped a trio of Barcelona starlets become young stars’ Marc Bartra and Sergi Roberto who now both are part of one of Europe’s most exciting squads, while Oriol Romeu left Barcelona and now plays for Valencia, another fine side. Vinas has not only helped develop some of the best players around, but coaches too. Vinas has mentored and assessed coaches such as the late Tito Vilanova who managed Barcelona before he died earlier this year, and Rodolfo Borrell, who previously at Barcelona’s famous academy La Masia, Liverpool FC and more recently been appointed Academy Director at Manchester City. Through 20 years of coaching the Catalan philosophy of football Albert Vinas has travelled the world coaching at various levels. Not only has he been a director of Catalan football philosophy training camps for 10 years but he’s been involved with various international set ups too, including a select Japanese U18 side and an external advisor to Scandinavian club such as PKKU in Finland. Albert Vinas’ CV. is full of professional credential backing up over 20 years of elite coaching knowledge. Vinas holds a UEFA Pro Licence and a sports science degree from the University of Barcelona. The NDLS Coaches Club workshop has been running for a couple years now with last years guest being SC Braga Academy Director Hugo Vicente. Vinas will be taking the workshop on Wednesday 24th at the Oscar Trainer Development Centre, Dublin 13. Cost : 25 Euro per Coach / Club Deal 5 Coaches for 100 Euro. Contact : Mitch Whitty for Information @ 087 9513624.